New Delhi, April 19 (IANS) The approval rating of Prime Minister Narendra Modi has dropped around 17 points in over a month but there is still no good news for the Congress as satisfaction of voters with Rahul Gandhi has not shown any sign of improvements, according to the latest findings of CVOTER-IANS tracker. Wayanad (Kerala), April 19 (IANS) Congress General Secretary Priyanka Gandhi and Union Minister and BJP leader Smriti Irani will on Saturday visit Wayanad in Kerala from where Congress President Rahul Gandhi is contesting the Lok Sabha elections. Kolkata, April 19 (IANS) Alleging that voters were not allowed to exercise their franchise freely and fairly, the Bharatiya Janata Party (BJP) has demanded a repoll in 40 polling booths in the Darjeeling parliamentary constituency of West Bengal that went to the hustings on Thursday. Mumbai, April 19 (IANS) Former Congress spokesperson Priyanka Chaturvedi on Friday joined the Shiv Sena in the presence of party chief Uddhav Thackeray. New Delhi/Mumbai, April 19 (IANS) Congress spokesperson Priyanka Chaturvedi has quit the party in protest against the misbehaviour by some colleagues in Mathura and is set to join the Shiv Sena on Friday. Lucknow, April 19 (IANS) Ashok Chandel, the BJP MLA from Uttar Pradesh's Hamirpur district, was on Friday sentenced to life imprisonment after he was found guilty in a 22-year-old murder case. Beijing, April 19 (IANS) China on Friday said that India's absence at the second Belt and Road forum next week will not affect their engagement and both the countries are preparing for a Wuhan-like summit between their leaders this year. Mumbai, April 19 (IANS) Congress spokesperson Priyanka Chaturvedi, who has quit the party, may join the Shiv Sena. New Delhi, April 19 (IANS) Congress spokesperson Priyanka Chaturvedi has quit the party, slamming it for ignoring the conduct of party colleagues who misbehaved with her in Mathura. Dehradun, April 19 (IANS) More than a month after a couple in Uttarakhand refused to accept a newborn girl as their own, insisting that a boy was born to them, DNA tests ended the suspense proving beyond doubt that the baby belongs to them only. Beijing, April 19 (IANS) China on Friday said India's likely absence at the second Belt and Road forum next week should not mar their ties and their differences should not turn into a dispute. New York, April 19 (IANS) A federal judge in Florida has sentenced an Indian citizen to eight years and six months in prison for his involvement in an India-based call centre scam, according to the US Justice Department. Washington, April 19 (IANS) Democratic presidential candidates have slammed Attorney General William Barr for the way he handled the release of Special Counsel Robert Mueller's report into alleged Russian meddling in the 2016 elections, saying that his framing of the probe findings amounted to a partisan attempt to protect President Donald Trump. Washington, April 19 (IANS) US Acting Defence Secretary Patrick Shanahan has confirmed that North Korea conducted a weapons test, but said that it was "not a ballistic missile". Paris, April 19 (IANS) France on Thursday paid a day of tribute to hundreds of firefighters who had put their lives at risk to douse a blaze which devastated Paris' Notre Dame Cathedral, one of the country's landmark symbols. New York, April 19 (IANS) Special Counsel Robert Mueller's investigation into Moscow's interference in 2016 elections did "not establish that members of the (US President Donald) Trump Campaign conspired or coordinated with the Russian government in its election interference activities" but left enough ammunition for Democrats to pursue charges that the president tried to interfered with it. New Delhi, April 18 (IANS) India on Thursday announced suspension of trade across the Line of Control (LoC) in Jammu and Kashmir from Friday, saying it is being misused by Pakistan-based elements to send weapons and illegal currency to fuel terrorism and separatism in this country. New York, April 18 (IANS) Attorney General William Barr said on Thursday that the inquiry into alleged cooperation between Russia and US President Donald Trump's campaign in the 2016 election found there was no collusion between them, although it established Moscow's interference. 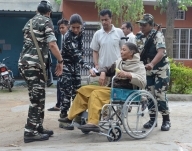 New Delhi, April 18 (IANS) A turnout of 66 per cent was recorded in 95 Lok Sabha constituencies across 12 states and a Union Territory on Thursday in the second phase of polling which was marred by stray incidents of violence in West Bengal and Jammu and Kashmir and EVM glitches in seven states. New Delhi, April 18 (IANS) The BJP secured 10 per cent or more votes on nine Lok Sabha seats in Kerala in 2014 but barring Thiruvananthapuram, it came nowhere near even the victory mark. 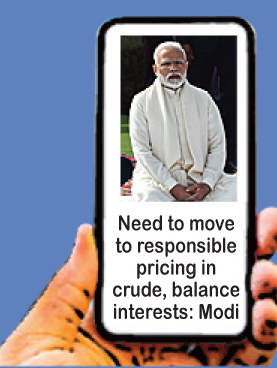 However, in 2019, riding on the Sabarimala sentiment, the party sees a realistic chance for itself on at least four seats -- Thiruvananthapuram, Thrissur, Pathanamthitta and Kasargod. New Delhi, April 18 (IANS) Rishabh Pant had started Delhi Capitals' journey in the 12th edition of the Indian Premier League by smashing Mumbai Indians pacer Jasprit Bumrah all over the park in their opening encounter in Mumbai. But Bumrah got his revenge at the Ferozeshah Kotla on Thursday as he sent Pant's off-stump for a walk in the park. With that ended DC's hope as they finished on 128/9, losing the game by 40 runs.